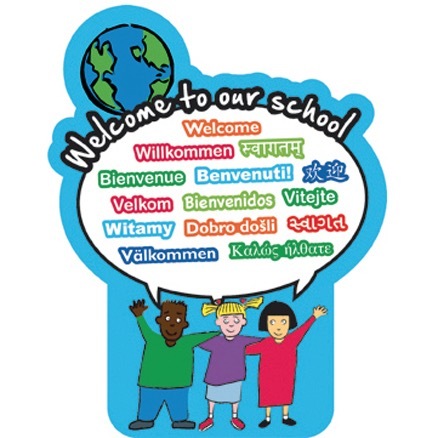 Welcome to Silver Oak Elementary School… We are so excited to have you join our community. Silver Oak is an exceptional school that is highly academic and challenging. It is a place where the Silver Oak staff, teachers, and parents have our kid’s best interests at heart. It is a community that cares. It takes a village these days to raise our children and our community at Silver Oak is a place where academics and our community come together to help our kids achieve their highest potential. It is important to know that a wonderful school is truly a product of involved parents, staff, teachers and kids. Silver Oak is very successful because of these elements. All parents are encouraged to support our school through time and money. How can you help? You can help by getting involved and donating to Silver Oak. Giving Your Time: This can be done by volunteering in your child(ren)’s classroom. This is at the discretion of the teacher. You can get involved by volunteering in our parent organizations (SOEP/PTO). There will be opportunities throughout the year. You can always check the PTO page tab located to the far right on the front of the school's website. Giving Your Money$: To keep all of the enrichment programs at Silver Oak it is encouraged for parents to contribute financially through the SOEP/PTO. You can support enrichment at Silver Oak by pledging funds today or attending one of our many fundraising events throughout the school year. Visit the Annual Pledge Drive page to learn more. Earn Free Money for Our School: Every time you shop on Amazon.com or at Lucky's grocery store, or Office Depot, use eScript or collect Box Tops coupons these companies give money to our school. To learn more about how to get started, go to Silver Oak's Give Back to School programs. Q: When is the first day of school? When are the holidays? Q: When do I find out who my child’s teacher is for the 2018 - 19 school year? Kindergarten: If your child is entering kindergarten a list and a “meet your teacher” will be held on Tuesday, August 21 at 1 p.m. at Silver Oak. Class lists will be posted in the Kindergarten wing of the school at 12:45 p.m. This wing is located to the left when you enter the door by the school office. First Grade: There will be a teacher “Meet and Greet” on August 21 from 2-3 pm. Grades 1-6: Class placements will be posted by 5 p.m. Tuesday, August 21 on the PowerSchool Parent Portal. If you want to be able to see your child's classroom assignment for 1st - 6th grade for the 2018 - 2019 school year, you MUST register on PowerSchool. New families will receive their student ID in the Evergreen District mailing to your home in August, if not sooner from the school office. Please click PowerSchool on school website to register. If you have problems registering, please call the school office at 408.223.4515 for assistance, starting August 13. Q: What is the school schedule? A: School starts at 8:05 a.m. and ends at 2:15 p.m. for grades 1-6 M,T,W,F. Every Thursday starting August 30, 2018 for grades 1 - 6 is minimum day. School minimum day is 8:05 a.m. – 12:35 p.m. with the exception of the Thursday before Winter Break the last day of school. On both these weeks, Thursday will be a regular day and Friday will be minimum day. Kindergarten starts at 8:05 am - 11:25 am from August 22 - September 7. Starting September 10, Kinder hours will be 8:05 am - 2 pm. Every Thursday starting September 13 will be minimum day and dismissal will be at 12:20 pm. Q: How does school drop-off and pick-up work? A: Please refer to the school drop-off and pick-up protocol. Q: If my child is sick or absent? A: If your child is sick from school please call the Silver Oak office at 408.223.4515 to report this absence. All sickness are considered excused. If you are planning to take your child out of school for a vacation please call the Silver Oak office at 408.223.4515. Please note that these types of absences are considered unexcused. For the school’s policy on absences please refer to the Truancy policy. Q: How can I help or involved in my child’s school? A: Silver Oak Elementary PTO (Parent Teacher Organization) is looking for volunteers to join the board of directors, and support our educational enrichment programs, family events and fundraising efforts. We rely on donations from student's families and the community to ensure our children's education is the best that it can be. To learn how you can help, please join us at our Welcome Back to School Social on Wednesday, August 22 or visit the PTO section of the Silver Oak webpage to learn more about the programs PTO supports. PTO will also present with Principal Greenfield at our Back-To-School event on September 6th. Q: What is Silver Oak’s website address? Q: What is Evergreen School District's website address? Keeping in touch with parents and caregivers is important to us at Silver Oak. There are two online systems we use at Silver Oak to communicate. PowerSchool is the system we use to keep you up to date on what is happening at school like information about school events, holidays, and other important activities. It is used to contact you in case of an emergency. On this system you will tell us who you want us to contact and where you want us to contact you...on email, through text or calling your home or mobile phone. PeachJar helps you keep on top of important flyers from community groups like Boy Scouts and Girl Scouts, the school district, athletic organizations and education enrichment. E-flyers can also be viewed by clicking on the Peachjar link on front page of our webpage.